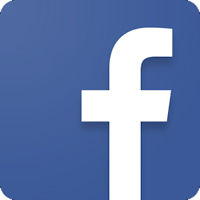 Facebook is an immensely popular social media platform for connecting with family, friends, information, community events, and interests. Bring your Facebook login, and learn all the basics. We’ll cover Facebook’s interface, settings, and lingo, plus discuss etiquette, privacy, and security. Need help setting up a Facebook account before class? Email bekah@colonielibrary.org or call 518-810-0314 by Janauary 21st to book an appointment prior to class. Registration required.